Hamburg never gets old – it is a feast for lovers of vintage and contemporary architecture, music, and everything maritime. This Hanseatic city continues to renew itself with the development of new quarters like HafenCity making it an exciting stop-over on any European tour. 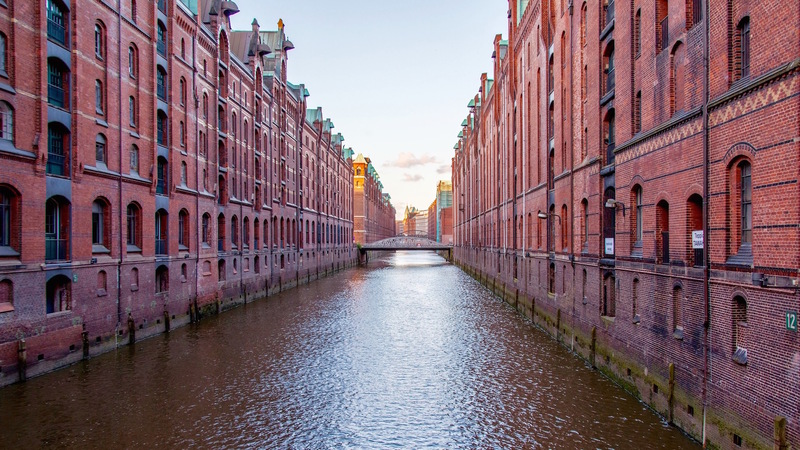 Heroic is the adjective that best describes Hamburg, Germany’s leading port city. Its historic brick buildings are so strongly built that many survived the firestorm which resulted from a British bombing raid in 1943. And, as the port was relocated further down the Elbe to accommodate container ships, the former docklands have been redeveloped as Hafencity. Considered the largest building site in Europe, this unique quarter of urban renewal is now coming to life. 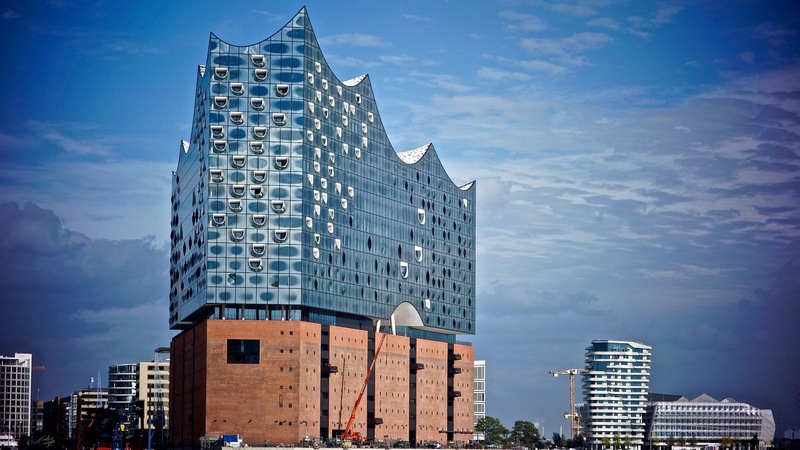 The crown jewel in this waterfront development is the Elbphilharmonie, a shimmering complex of concert halls, apartments and a Westin Hotel that rise from a six-story warehouse. It has become the new icon of the city: a frozen wave of glass that seems to fly over the water, like the sails of the Sydney Opera House. Winters in Hamburg are bleak, so I decided not to wait for the January opening, but to preview the building on the last fine days of September. The Westin hadn’t opened, so I stayed in the centrally located Park Hyatt, at a third the price I would have paid in London or New York. Despite its prosperity, Germany is still a bargain for travelers. 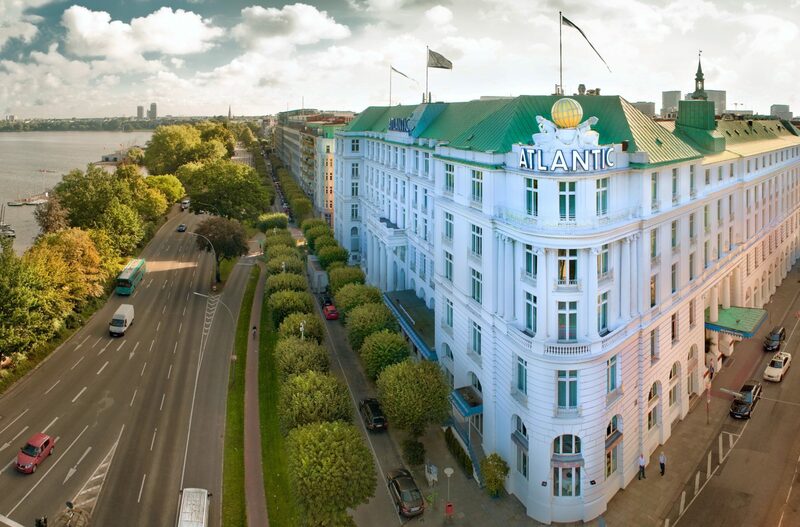 On a previous trip, I stayed at the venerable Atlantic overlooking Lake Alster, and next time I’ll try the Side, a crisp new design hotel that’s also near the lake. Whenever you go, make the Elbphilharmonie your first stop. An escalator rises through the old warehouse to a covered public plaza that opens onto balconies overlooking the river on one side and the city skyline on the other. And try to catch a concert in the main hall, a masterpiece of design and crystal clear acoustics. Public ferries ply up and down the Elbe and from the deck of #72 you can appreciate the shape-shifting complexity of the building, which seems to change color as the undulating glass panels reflect the light. Ferry 62 heads downstream, taking you past the riverfront villas of Altona and the massive cranes of the new port. Hafencity is still a work in progress, a scatter of new office and apartment towers, including the Unilever offices with their soaring public atrium, and the Marco Polo tower with its wavy balconies. Head inland and you discover an engaging mix of old and new, notably the handsome brick warehouse that is now the Maritime Museum, and the wildly exuberant neo-Renaissance Rathaus. 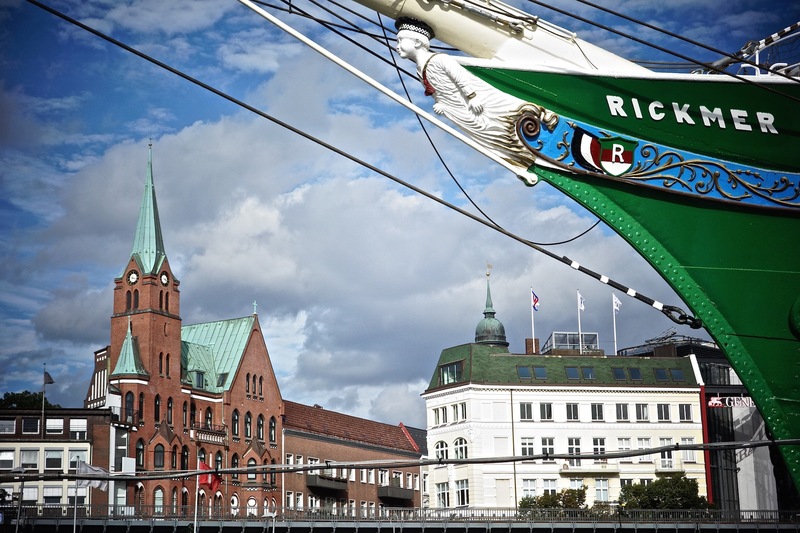 Hamburg boasts two UNESCO World Heritage sites. Speicherstadt is a complex of bonded warehouses astride a canal, which are now being converted into apartments and studios. 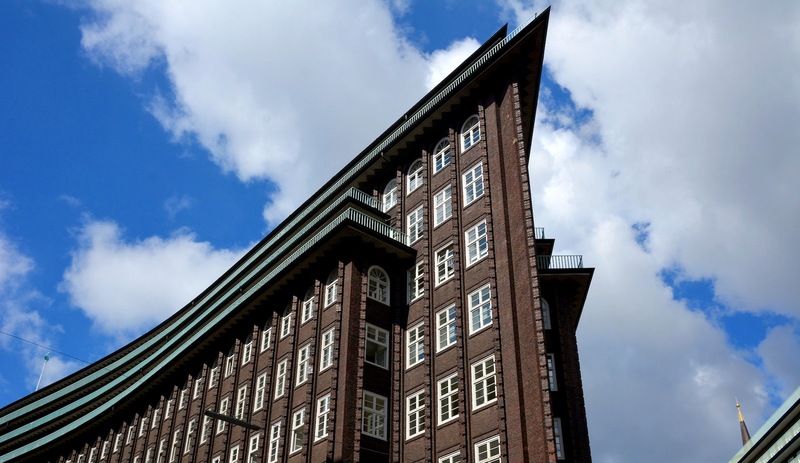 Chilehaus is a masterpiece of Expressionist brickwork, with a sharp prow that evokes the clipper ships of the Free and Hanseatic City of Hamburg, to give its full title. 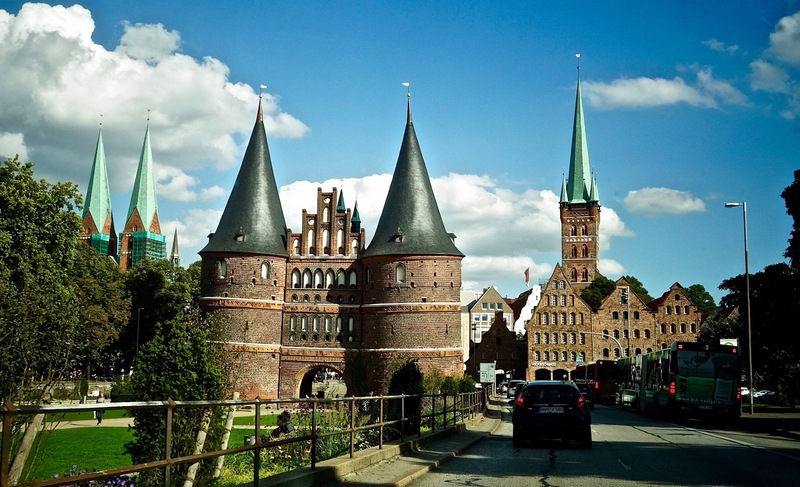 A forty-minute train ride to the east is Lübeck, which was an even more important member of the medieval Hanseatic trading league and has a new museum that dramatizes its history. A walled city that escaped devastation in the war, it’s an exuberant mix of Gothic and Renaissance architecture, full of gables, pinnacles and cobbled squares. You can walk from one end to the other in half an hour but it’s better to take a day, lingering over a glass of wine in the Markt to admire the wonderfully eclectic Rathaus. A brick facade with copper spires rises above a white stone Renaissance facade, with a street-level arcade and alternation of pedimented windows and gables, Ionic pilasters and caryatids, heraldry and strap work. Be sure to see the spectacular Gothic interior of the twin-spired Marienkirche next door before adjourning for dinner at Die Zimberei, a fine Italian restaurant in a handsome classical block with a garden terrace.